Have you heard the story of Reckless Korean War Horse Marine hero? 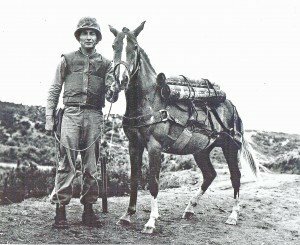 Janet Barrett has written a wonderful account of a Jeju pony “drafted” by the U.S. Marines Fifth Regiment’s Recoilless Rifle Platoon. 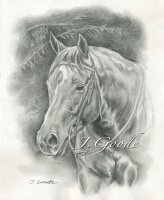 From the racetrack of Korea, Reckless grew into a real-life hero of the Korean War. 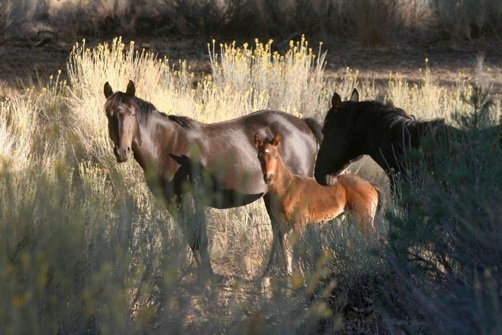 On today’s show Janet joins us to share some of the stories about this amazing little horse. We get to know about the background of the men who took a chance on Reckless. We also gain some insight into how Reckless returned that trust. 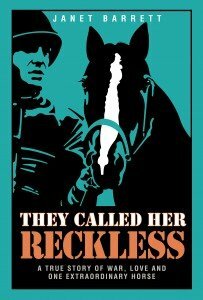 Janet’s has written the book, They Called Her Reckless – A True Story of War, Love and One Extraordinary Horse. 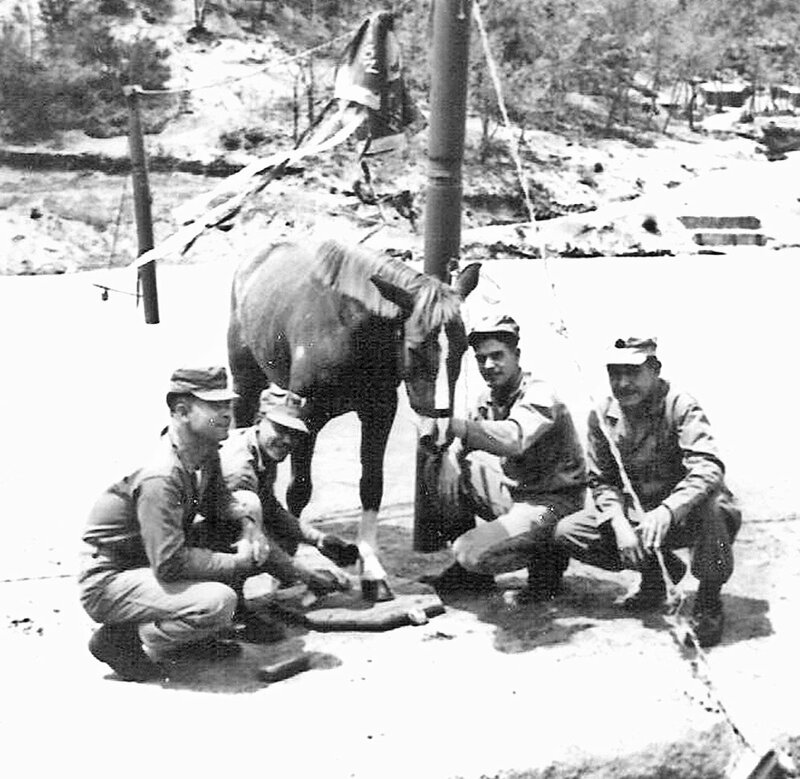 It is a fascinating true story of how a horse bonded with her Marine “herd” to become an integral part in the Battle of Outpost Vegas of the Korean War. Returning home to Camp Pendleton in California, Reckless attended ceremonies for the Marine Corp. She continued receiving promotions and reached the rank of Staff Sergeant before her retirement. A statue of Reckless charging up a hill stands at the National Museum of the Marine Corp in Virginia. 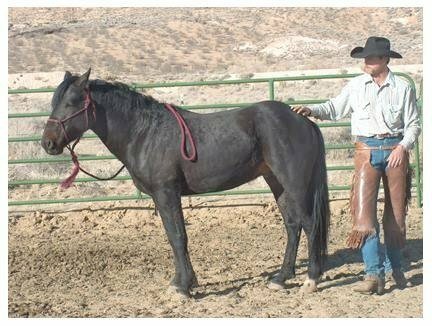 Jessie and I work through the first eight exercises in Clinton Anderson’s Downunder Horsemanship Gaining Respect and Control on the Ground, Series I, DVD. This is the video that started it all back in 2007. 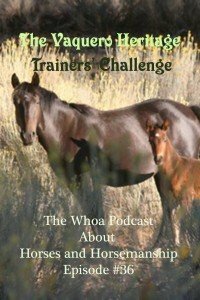 I wanted to know if a regular guy like me, who had a limited knowledge of horses (and no knowledge of horse behavior) could utilize a learn-by-watching-dvd system to train a horse without killing himself. It turns out it can be done. We followed the methods described on the videos as closely as we could and Jessie became a solid, respectful, and safe trail horse. The Clinton Anderson Method is laid out simply in these dvd’s. We simply started at the beginning of Gaining Respect and Control on the Ground with exercise 1. Once we felt we had accomplished that we moved on to number 2. Before long I had a trusting quiet horse and learned a great deal in the process. Working at liberty is always a fun challenge. Jessie has improved a lot over the last few months. Looking back I didn’t really do a very good job of starting her off at liberty very well and had to come back and work really hard to have her “hook up” with me. We still have a long way to go. Compare to the first one seven months ago. Ranae’s good friend Susan remembered Ranae saying she had always wanted to ride a Friesan horse. Susan contacted and owner of several Friesans in Norco, Ca and arranged to have one of Ranae’s dreams come true for her birthday. While I thought I was just going along to document the wonderful event, I ended up getting to ride one as well! What an experience!